Mediterranean Blue Metallic, Sensatec Oyster/Black, Heated Front Seats and Steering Wheel. Mediterranean Blue Metallic, Sensatec Oyster/Black, Convenience Package, Heated Front Seats and Steering Wheel. Mineral Grey Metallic, Black SensaTec, Convenience Package, Heated Front Seats and Steering Wheel. Black Sapphire Metallic, Sensatec Oyster/Black, Convenience Package, Sport seats, Heated Front Seats and Steering Wheel. Jet Black, Black SensaTec, Convenience Package, Space-saver spare, Heated Front Seats and Steering Wheel. Black Sapphire Metallic, Black SensaTec, M Sport Package, 19 M Double-spoke bi-color wheels, style 572M with performance run-flat tires. 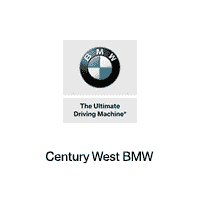 Century West BMW: Proudly Serving Studio City and the San Fernando Valley! Do you start your commute each day picturing yourself in a new BMW sedan or crossover? Realize your dream at Century West BMW. Located just blocks away from Universal Studios on Lankershim Blvd, in Studio City near Beverly Hills and Los Angeles, Century West BMW is a family-owned business predicated on being a ‘home’ for both its customers and its employees. And right now drivers in our area can get $10,000 off of a New BMW i3 in Studio City near Beverly Hills and Los Angeles. Our friendly BMW finance team is the BEST in the business–there isn’t a better crew of finance professionals who can find the right financing package to get you into the car you want to have.